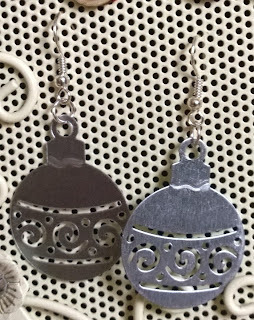 As many of my regular readers know, I love making my own Christmas earrings and have more than enough for a different pair for each day in December, and yet I still like to make more. 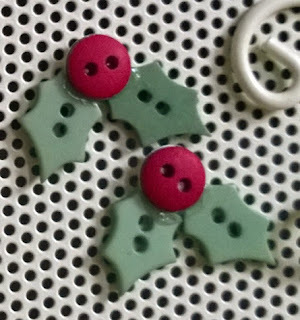 Yesterday Jennifers posts on her Frosty Festivities event spurred me to get cracking on this years. 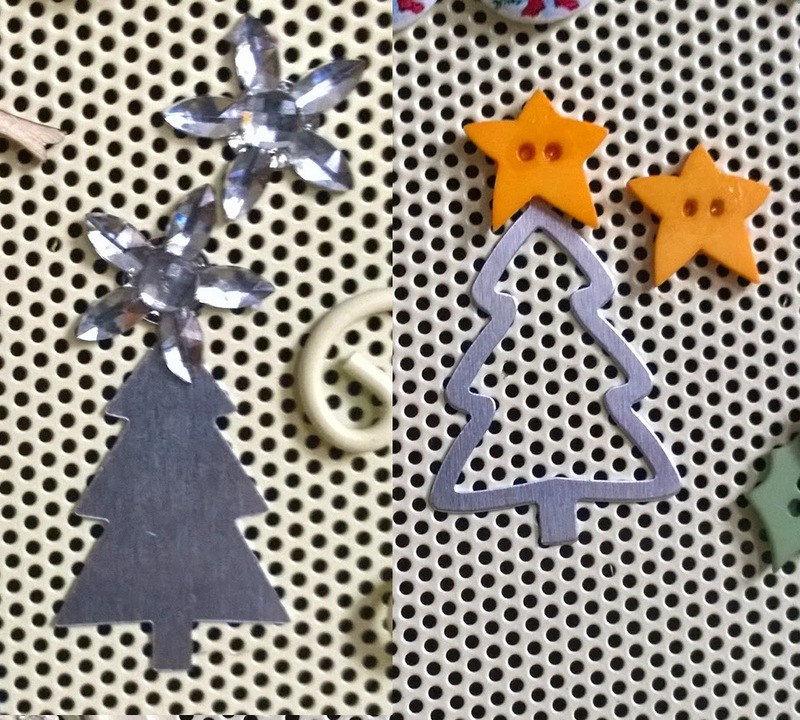 Jennifer herself is a Jewellery maker. So today I'll be showing you 3 posts with the 3 stages I went through. 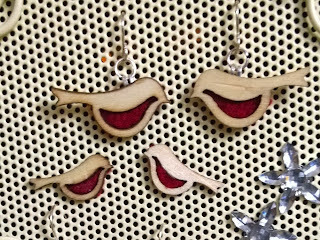 I started off thinking "Robins", which lead to "Robin Red Breast"
These are wooden robins with red felt on the back which shows through the gap to give them a red breast. 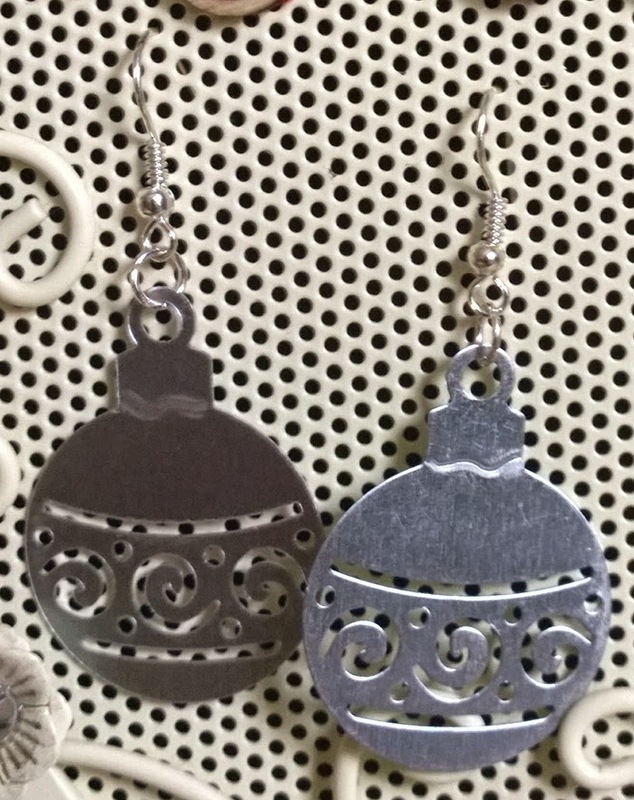 The large ones are dangly earrings whereas the smaller ones are studs. 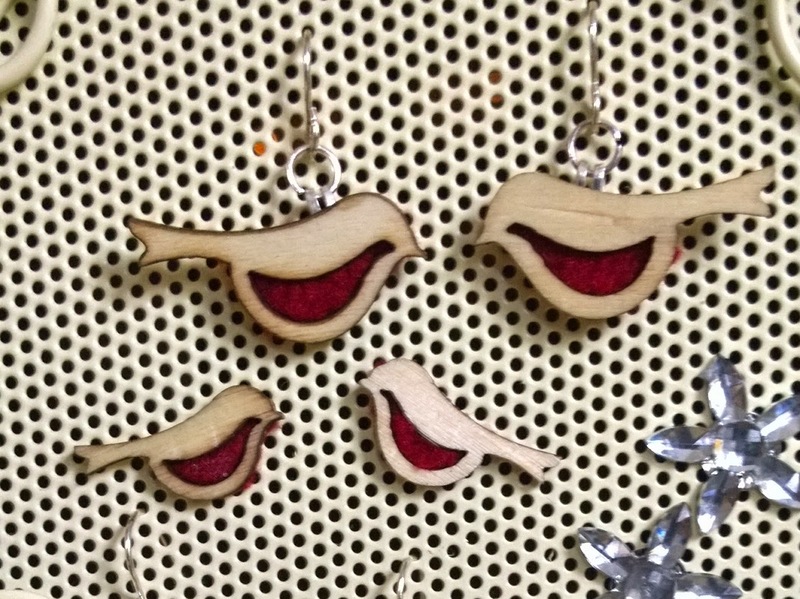 I made 2 pairs of the dangly robins, one for myself & one to gift to a stranger who finds them on black friday ... to learn more about this and the artists joining in check out the facebook page HERE, maybe you'd like to join in yourself. 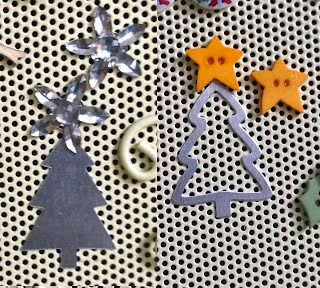 I attached the flowers & the stars to stud earrings, they can be worn with or without the christmas trees which just slide on & off the earring, I can chop & change them so they are both seasonal & can be worn at any time. Each block of words in red leads to Jennifer Grace Creates, Frosty Festivities where I've taken inspiration. The robin ones are so cute. 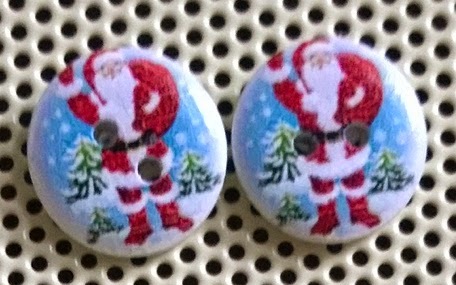 So cute these one's K! Any one for candy canes?